Chrism Mass 2017 to be held at Saint Helen’s Parish Church Carlin How! 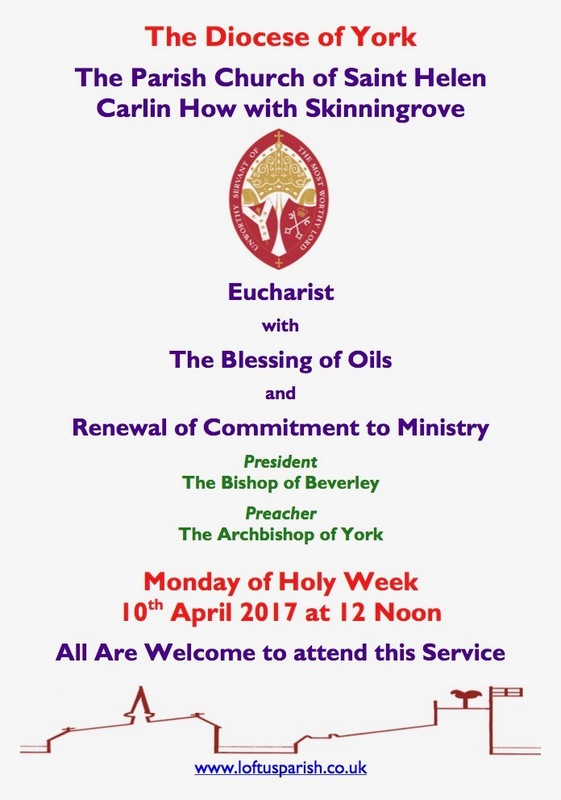 The Archbishop of York and the Bishop of Beverley will both be in attendance at the Chrism Mass (The Eucharist with the Blessing of Oils and Renewal of Commitment to Ministry) which will be held at Saint Helen’s Parish Church in Carlin How on the Monday of Holy Week, Monday 10th April 2017 at 12 Noon. The service will be followed by a lunch and all are welcome to attend this special Holy Week service.